The WB520006 Cartier Baignoire Watch, Small Model is a classic reinterpretation of Cartier’s 1913 oval wristwatch. 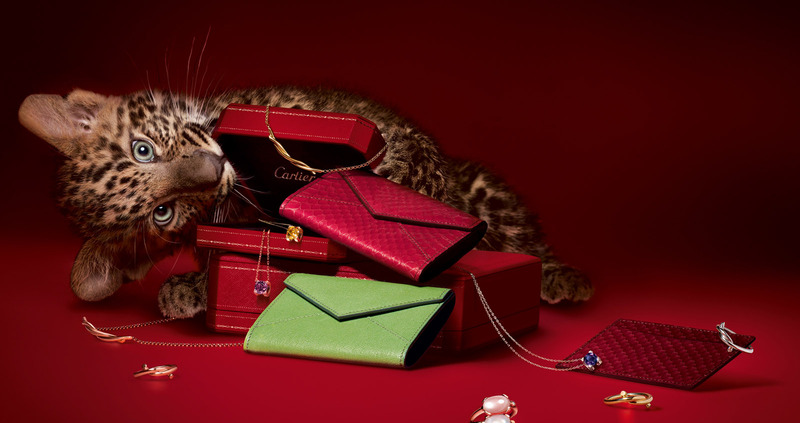 The original Cartier Baignoire timepiece was influenced by a chatelaine of diamond and onyx given to the Russian Grand Duchess Pavlovna by Louis Cartier in 1912. Rereleased in 2009, the WB520006 Cartier Baignoire Watch, Small Model captures elegance and beauty with a reinterpretation of this enduring design. The case of this 18K white gold timepiece, which measures 31.5 x 24.5 mm, is set with round diamonds which taper slightly in size from the sides to the top and lend this piece a refined and elegant look. The dial of the Cartier Baignoire is an elongated silvered oval with a bright finish and characteristic roman numerals. The black roman numerals on the watch face stretch in size around its perimeter and sword-shaped hour and minute hands in blue steel top the silvered dial. The octagonal 18K white gold crown is set with a diamond and sits next to three smaller diamonds on the watch case. 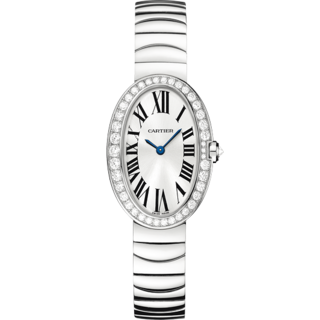 The bracelet of the Cartier Baignoire Watch, Small Model is also composed of 18K white gold. The curved components of the bracelet serve to enhance the femininity and delicate features of the WB520006 Cartier Baignoire Watch.